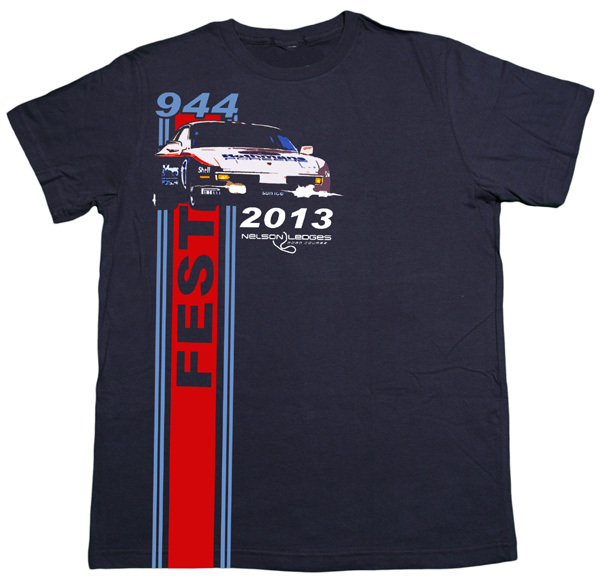 Check out these awesome event shirts from the Porsche 944 Fest 2013. We only have a few left so get them while they last. Shirt features a vintage 944 Rothmans Cup car, racing stripe, event year and track logo.